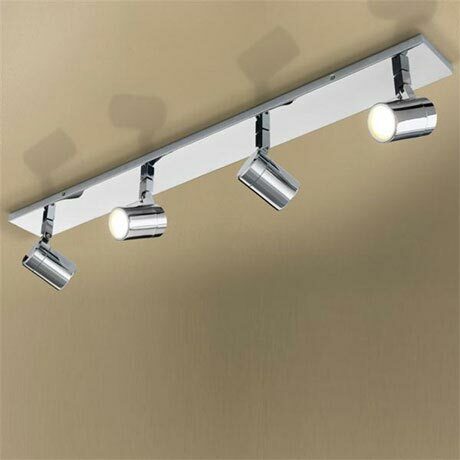 The Quartet features four multi-angled chrome LED spotlights mounted to a fixed chrome rail. Each spotlight can be adjusted to highlight features in your bathroom. Comes supplied with four GU10 LED 6W lamps which are replaceable.